Sun, beer, live music, cider, free food samples… and a jumping castle. 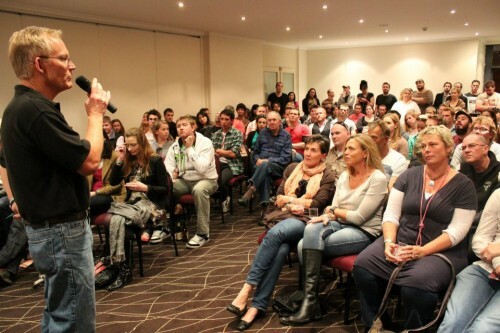 ACT blogger Mick kicks back in his own town with a visit to the Canberra Craft Beer Festival. On a sunny Saturday afternoon in Canberra, there are not many better things to do than relax in the sun with friends and a beer. Now, add dozens of friends and locals, and add dozens of different beer brewers and you have the Canberra Craft Beer Festival! 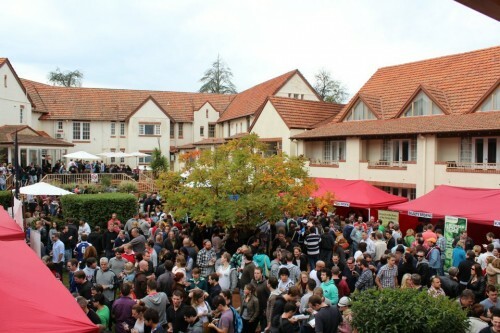 In 2012, this annual event celebrated its fifth year of bringing local and national beer brewers to Canberra to display and give you a taste of their wares. The inner courtyard of the Mercure Canberra Hotel (AKA Olims) is turned into a sea of people lining up to try the range of beer on offer. And plenty on offer there is! Up to 80 variations of beer and cider are able to be tasted. Good luck trying even half of them! 2012 saw the festival bring the largest number of displays ever (15 brewers) as well as the largest number of people (around 1300!). Everywhere you turn there are people enjoying a taste of beer or cider from small plastic cups provided by the stalls. Here’s a tip: you are best to hold on to your cup during the day as some stands appeared to run low as the afternoon rolled on. For the $25 admission, you’re given 10 tasting tickets, each of which you exchange for a small cup of beer or cider on offer. This is excellent value given the quality of beer and the entertaining atmosphere. Some stalls have longer queues than others, but this is no way seemed to reflect the standard of the beverages. I found that some of the shorter lines provided the best tasting beers of the day. Having said that, no queue took longer than eight to ten minutes of waiting and you are able to get two cups at a time. Extra tasting tickets were available for $1 each. Live music from ‘Kartel’, free food samples and good conversation are free flowing as you make your way from one end of the picturesque courtyard to the other. Along with the stalls there were ‘Expression Sessions’ organised. Food matching, a beer quiz and a brewer table tennis competition were all highlights of the day. I was struck by the friendliness of the atmosphere which is promoted as a ‘family friendly event’. Despite the prevalence of alcohol and the large number of people, I felt comfortable taking my two young sons along. There was a jumping castle for them to entertain themselves on (and although small, it’s amazing how inflated objects promote a lot of bouncing and tiring out!). The main positive I took out of the day was the amazing range of beer brewers and crafters that are in our region. I was pleasantly surprised by the ‘Pale Ale’ from the Dalgety Brewing Company and the ‘Sydney Cider’ from the Schwartz Brewery was fantastic for a light start to the afternoon. You were also given a chance to taste beer from the larger companies like ‘Matilda Bay’, ‘Coopers’ and the wonderful ‘Little Creatures’. 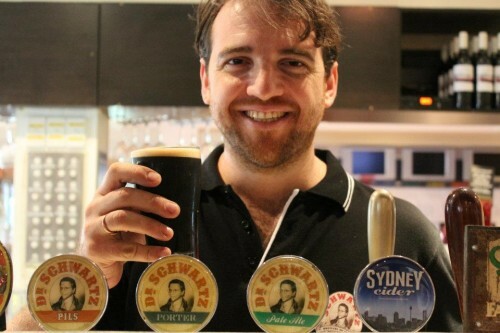 With more and more local beers being popularised in Australia, it is events like this that really shine. It is a great initiative by the Schwartz Brewery to organise such a great event at a beautiful time of the year in the National’s Capital.